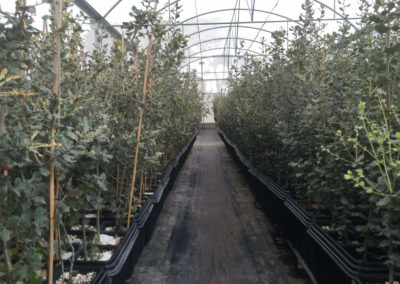 We grow Quercus Ilex (Holme or Mediterranean Oak) from acorn in both traditional tree form and Quercus Coccifera (Oak Bush) to enhance our planting densities at 500 per hectare to maximise sunlight to the base of the plants whilst minimising pruning as the forest canopy develops, which can effect root development. They are inoculated under the most rigorous “clean” laboratory conditions to ensure there are no other competing spores on the tree roots. 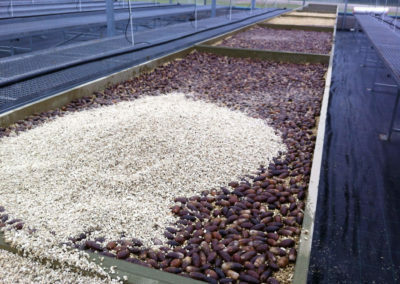 They are then grown in carefully in prepared substrate beds under strict nursery conditions. After 2 — 3 years they are planted-out carefully by hand. 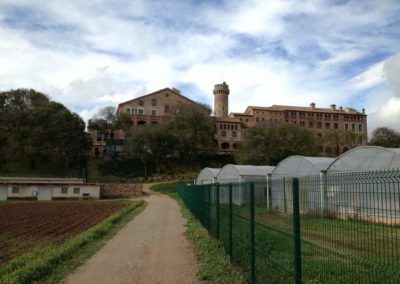 We use the vast and technically advanced nursery facilities of the Institute Research & Technologia for Agronomia (IRTA), near Barcelona. This world class plant research centre, gives us complete micro-zonal climate control over the environment in which our plants are developed through the critical stages of germination, root development and inoculation. All this is commenced two seasons before planting. 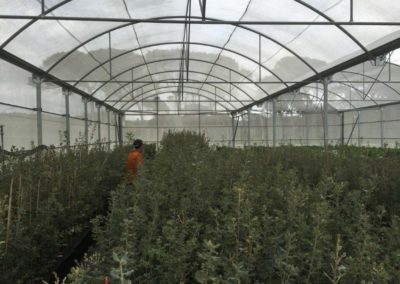 Trees are regularly analysed to ascertain spore development through this period and only trees which meet our required standard are selected for planting. 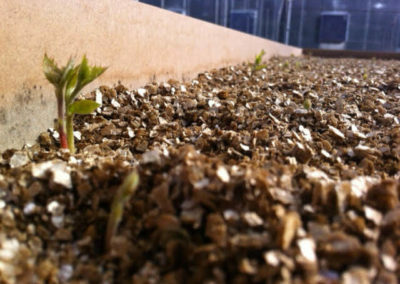 Per 1,000 acorns propagated only 200 will make it through the rigorous analysis programme of their first year of growth to become TFE planted trees. 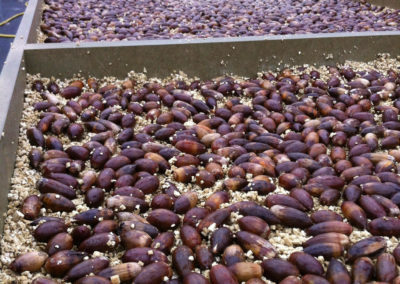 The 10,000 trees currently in the IRTA started out as 55,000 acorns that were originally germinated in specially prepared silica beds. 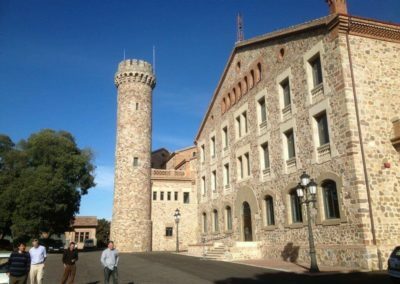 Through our close working relationship with Micologia Forestal y Aplicada a world leading truffle science company, we have been able to secure an exclusive supply contract of their trees to the territory of France. Dr Marcos Morcillo talks mycorrhizas, spores and truffle development among our 3 year old trees with Truffle Farms Sales Director – Richard Mann – Dr Xavi Vilanova makes an all too brief appearance.